In an interview with the Swiss Startup Association, fintech expert and serial entrepreneur Marc P. Bernegger explains why Switzerland could win the race as a European fintech hub, but only when certain regulations are done by the government. A first offence came from the federal president Johann Schneider-Amann at the recent FinTech & Digitisation Day. Switzerland as a start-up location is in the shadow of hubs such as Berlin or London; and is a non-participant in the EU. What distinguishes the Swiss start-up scene? Switzerland hasn’t fully adopted the fail-fast and lean philosophy that defines Berlin, London and other leading metropolitan regions in the world such as the Bay Area or New York. Switzerland and its largest urban centres have a number of great advantages in terms of living, setting up shop, finding and recruiting talents, etc. Most of these factors are related, one way or another with Swiss culture. But as much as culture is a positive distinguisher, it also can be a challenge: the consistently high level of prosperity is an impediment to entrepreneurial spirit and self-initiative. Moreover, the lack of risk appetite among investors inhibits financing, particularly of startups. While London or Berlin are perceived as the best places for start-ups, we should not be lulled into the belief that everything is better there and Switzerland has nothing to offer. Among the attributes of Swiss start-ups we find characteristics such as understating, thought through, controlling, or frugal. I think these attributes are not necessarily weaknesses in the long run and can be turned into real differentiators and strengths. Switzerland is a really expensive country. How does this influence the development of the start-up scene? The unique combination of the world’s highest salaries, lowest unemployment rates and highest comfort creates almost no urgency for fast-moving innovation. Furthermore, Switzerland’s high cost of living might have put some start-ups off in recent years. However, there is a surprising vibrant start-up scene, particularly in the Greater Zurich Area. While Switzerland has not been a well-known global hub for start-ups, I think we can now see some very positive changes such as political and public discussions around incentives for startups, the launch of incubators and accelerators, and not least a change of the perception of what it means to be an entrepreneur. What is missing for Swiss start-ups to be pushed more? Before we talk about what is missing we need to clarify where we want the Swiss start-up ecosystem to be in the years to come. Is it realistic that we compare ourselves with London, Berlin or even the Bay Area? I don’t think so. 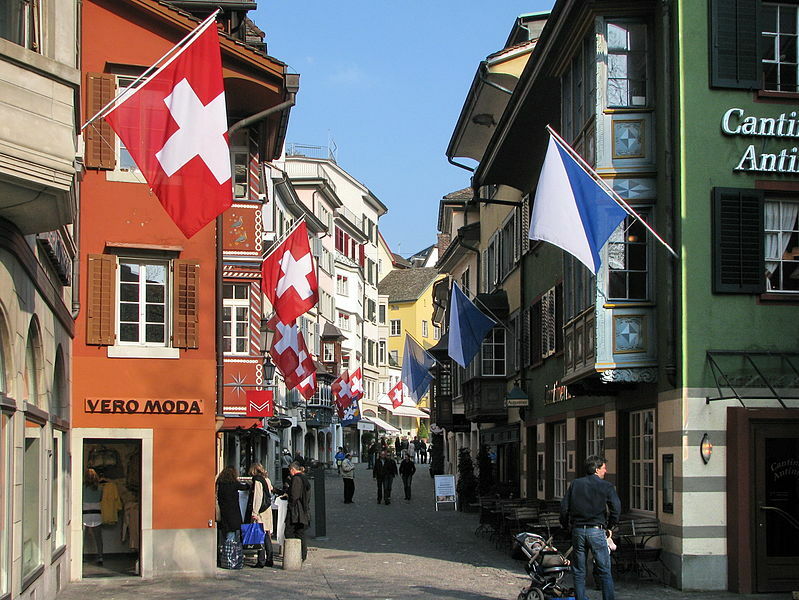 Zurich, and to a certain degree also Geneva, are global cities despite a low population. But our metropolitan areas are historically structured and grown over time than other global cities. Therefore, I think we have to come up with realistic goals and focus on doable things such as creating an ecosystem which allows start-ups to easily start and close a company, to get access to talents and offer funding opportunities which enable start-ups to test and trial their products. What do you think about the Swiss government’s regulations? First and foremost, Switzerland’s education system doesn’t actively foster the entrepreneurship culture. Fortunately, authorities and politicians involved in the ecosystem are increasingly aware of this problem. In terms of regulations, there is still quite some room for improvement. The founder tax situation or the light bank licence are just two issues which need to be tackled soon. Right now, successful young entrepreneurs need to stick together and mutually support start-up ideas. The more pressure we can put on the system the better. Regulations will always remain a barrier for start-ups, here and in London or Berlin. But we have to be aware of the fact that founding a company in Switzerland is neither easy nor cheap or fast. It takes several days and at least CHF 20,000 ($20,800) in Switzerland while you can do the same thing in Latvia in a couple of minutes and for a few dollars. This should provide ample food for thought. What other factors influence the Swiss start-up ecosystem? What are the blockers? What you would change? A key factor in Swiss culture is cohesiveness. This is a blocker as much as it is a key success factor. Swiss federalism and its decentralised institutions, particularly the Cantons, lead to a situation where every Canton creates its own programmes and incubators for start-ups, causing a highly fragmented, badly coordinated, and splintered situation. Due to the small domestic market, Swiss start-ups are forced to have an international vision from the very beginning. If we find a way to become more cohesive, we automatically create valuable space for testing and experimentation. You are promoting fintech start-ups – what is their position in Switzerland? Fintech and insurtech are among the hottest and fastest growing industries in Switzerland. Considering the country’s history in banking and insurance this might not be a surprise. Private and public sector increasingly recognise this momentum and start to support new initiatives such as DigitalZurich2025, the KickStart Accelerator, the Swiss Stock Exchange’s incubator SIX F10, Geneva’s “Fusion” accelerator, UBS’ “Future of Finance Challenge” programme, to name a few. As we currently see major banks opening their doors to start-ups and regulators such as the FINMA actively seeking solutions for start-ups, we shouldn’t be surprised if we see new European players growing here. However, I don’t expect that Switzerland will be among the leading fintech nations anytime soon. We will rather see a positioning of Swiss start-ups in niches such as cryptocurrencies or wealth management. Can the Swiss financial hub with the banks and fintech start-ups benefit from each other or is there a skepticism and even fear against each other? The Swiss financial centre is increasingly spawning innovative fintech start-ups. When it comes to consumer-facing web and financial technologies Switzerland and in particular the Greater Zurich Area are among the locations where we can see cross-fertilisation. Banks are scared and the public sentiment towards banks is still quite negative. Therefore, I see fear as a powerful motivator for banks to curb innovation and for fintech companies to get their foot in the door of banks. I think today’s fintech entrepreneurs will help to make banks more efficient and consumer-oriented. How do you bring, in your personal work, these two worlds together? Our Finance 2.0-Conferences aim at educating traditional banks and financial services providers while creating a platform for fintech start-ups and investors. Moreover, I am involved in various fintech companies such as FinLeap or initiatives as Greater Zurich Area, Pioneers’ Club, Swiss Startup Invest or Young SECA and try to build bridges between the two worlds. How do you convince a fintech start-up to operate from Switzerland and not go to Berlin or London? Switzerland is an ideal base for a global digital finance and there are great advantages: network effects, attracting the world’s best talent, infectious energy, strong trust relationships etc. Switzerland is and will never be the place where you quickly put together some pieces of code, come up with a fancy presentation, get millions of funding and sell to the highest bidder. In Switzerland you’ll find long-term vision. Our country features a top jurisdiction. Switzerland has the most decentralised political system in the world and its citizens are in full control of the system. This guarantees extreme stability on the one hand and on the other hand competition among the cantons and its municipalities. This results in very friendly and flexible social and business rules, low taxation and a high service delivery. Stable, predictable, neutral political system that is highly responsive to its citizens. Its decentralised, bottom-up political system is a natural fit for the decentralised, bottom-up digital finance technologies of the future. Global competitiveness: Switzerland is ranked number one in the world. World-leading infrastructure in transportation, telecommunications, financial services, technological innovation etc. Marc P. Bernegger is a Swiss entrepreneur and investor. He co-founded several web companies and had two trade sales (usgang.ch and amiando). Today he is also an investor mainly focusing on fintech (with involvements in FinLeap, Next Generation Finance Invest, Ayondo, Orange Growth Capital).